Colin Baenziger & Associates (CB&A) is a small but nationally recognized consulting and municipal recruiting firm. 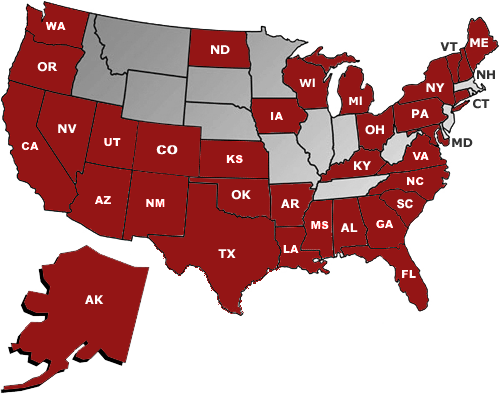 Since being founded in 1997, we have gradually expanded into 32 states and plan to continue that growth. Our success is attributed to our process (which works well in any state and for any government), the caliber of our work and the extremely high level of satisfaction of our clients. We hope to work with you soon! Where CB&A's clients are located.